White Noise: Bowling For Soup Turns 25. Bowling For Soup Celebrates 25 Years Of Music, Herrick & Hooley’s Luke Jr Makes His Solo Debut, White Denim Preps Its Second Album In Seven Months & More. Looking back on our past five White Noise colums, our top stories of late have involved four deaths, two surgeries, a cancer benefit, a binding legal issue and the city’s most famous musician publicly showing support for a child molester. Yes, it’s been a trying month or so in the North Texas music scene — to say the least. So perhaps it’s for the best that things are relatively quiet this week. Finally, without more pressing concerns involving the aforementioned issues weighing us down, we can really stop down and appreciate the following rather straightforward music news for what it’s worth. First up, let’s put our focus onto the music video front. The first entry in that realm comes courtesy of Luke Jr, who made his music video debut this past Friday. That moniker, if you don’t already know, is the stage name of Plano expat Hunter Lewis, whose work elsewhere you may remember. Beyond his work as a founding Herrick & Hooley member, Lewis also recently produced albums for Mallory Merk, Nicotine’s Famous Honey and Sara King. This new material comes as part of his debut project, A Time of Loss, which comes out in full on Valentine’s Day. Likewise, film buff Cory Kilduff continues to find inspiration for his sonic work through the big screen. The artist formerly known as Ocelot has recently said that his new debut solo album under his own name, called When It All Gets To Be Too Much, was inspired by certain Brat Packer. Says Kilduff: “The singular image that kept popping up was Molly Ringwald. I kept coming back to her characters and realized that I was writing music for that point in all her movies where everything gets [to be] too much and she finally can’t take it and cries. So I started working from there. I used what felt like sadder, more introspective arpeggiations and layers that built into lush walls of sound to feel at times like overwhelming emotions. I started saying to myself that the record I was making was more John Hughes than John Carpenter.” No surprise, then, that he gave the lead single from this cinema-inspired batch its own cinematic video treatment, which you can stream below. Meanwhile, the Fort Worth piano ballad destroyer known singularly as Ansley premiered a new Denton-shot video as well via Fort Worth Weekly’s recurring email blast. Moving on, Fort Worth scene vets Matt Tedder, Matt Mabe, Kris Luther and Nick Tittle have joined forces on a super new group called Polydogs. The band played its first show this past Friday, and has new recorded material on the way. Also with some new material on the way is White Denim, which only just recently released a full-length in August. The new LP is called Side Effects, and it’s due out March 29. The first single, “Shanalala,” also features Fort Worth’s Jordan Richardson on the drums. Out now, on the other hand, is a limited edition BluRay/DVD of the underground 1982 supernatural slasher film, Blood Beat. The never previously officially released disc contains, as a bonus feature, a new score by Nervous Curtains. You can stream the music only below, or order a copy of the film here. Likewise, Vogue Machine‘s latest single also has ties to a visual medium. As reported by the Dallas Observer, the duo’s new single “Kardio” is part of the Rick & Morty soundtrack, and was featured on a bumper for the series on the Adult Swim Twitter page. 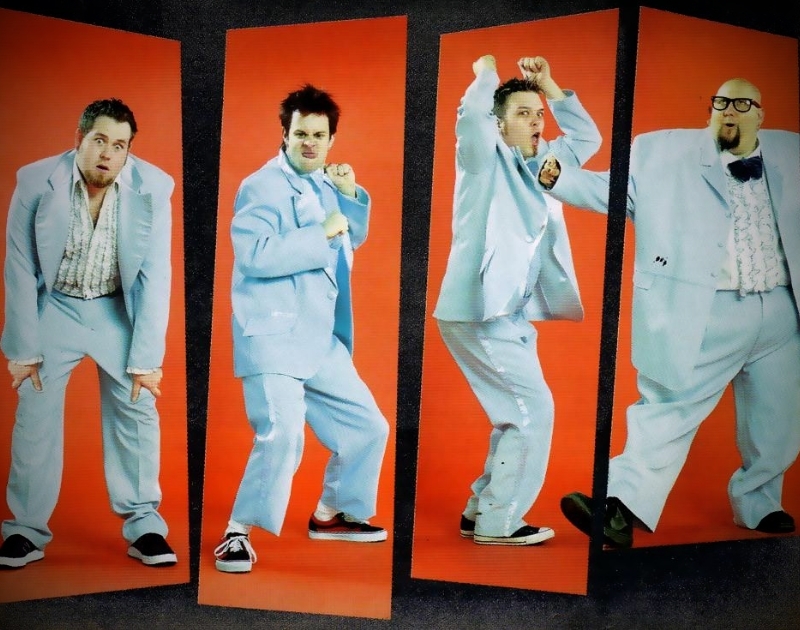 Finally, to celebrate its 25th anniversary as a band, Bowling For Soup has a four-day party planned at Lava Cantina. On June 6, 7, 8 and 9, the band will host a series of events including a podcast, live show, karaoke night and acoustic brunch. Save the date(s). Next ArticleCheck Out Nike’s New Dallas-Themed Air Max 97s.